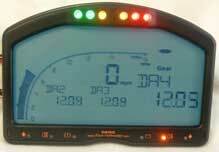 How do I configure the RPM on my DASH2? step 2: Now select the "RPM setup" tab. 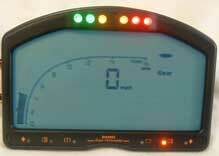 This will allow you to configure the RPM. 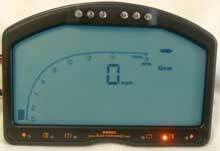 step 3: On the right hand side of the window, will be displayed the RPM scale intervals. 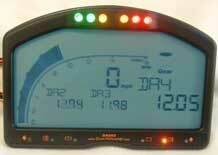 and transfer the changes to the DASH2 (see the article on transferring configurations). 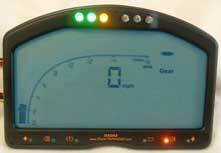 step 4: On the left hand side of the window, you will find the tools that you need to configure the shift lights. With these settings, the shift lights (the LEDs along the top of the DASH2), will all be turned on and flickering when 6,000 RPM is reached. The lights will cease flickering once the RPM drop by 200 below this level. 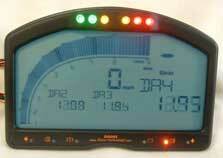 When the RPM drop by 200 more, one of the LEDs will cease to be lit. This process will continue for every 200 RPM dropped. The DASH2 will expect two pulses for every revolution. 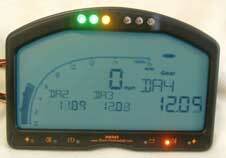 Now the DASH2 will only display one revolution for every four pulses (effectively halving the RPM picked up - the maximum readings will be much lower) The Lights will begin to flicker at just 4,000 RPM, and will cease flickering/being illuminated at increments of 400 RPM. step 5: On the right hand side of the window, you will see the options to Configure the RPM bar-graph. 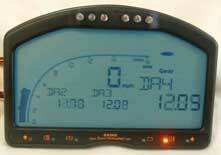 On the DASH2 screen, you may choose to have a small line showing you the level at which your RPM peaked. This line will "decay" down the scale after a period of time. By using this tool, you may choose the amount of time that you wish the line to be displayed at the peak level for, and the speed that you wish it to decay. In this case, the line will stay in the peak position for two seconds, and will slide down the scale at a rate of 10 x 100 rpm/s. You may alter this as you see fit. Now, the line will hold the peak position for five seconds, and will decay much faster - at a rate of 40 x 100 rpm/s. step 6: The "Filtering" section on the left hand side of the window allows you to "smooth" the DASH2s' readings; removing any random spikes in the data displayed, and averaging out the results. Here, both features are turned off. If, however, the values were set to 1,000 and 4, then the maximum rate of change that would be displayed on the DASH2 screen would be 1,000 RPM every 1/10th of a second. The average reading, as taken over every four samples, would also be shown on screen.